So every year, I give my nieces and nephews a little gift for Valentine's. Usually it's a red shirt or something with hearts for the girls and a toy. The Project Bin just came out with this fabulous donut set called Hole Foods. I love the donut in the set. 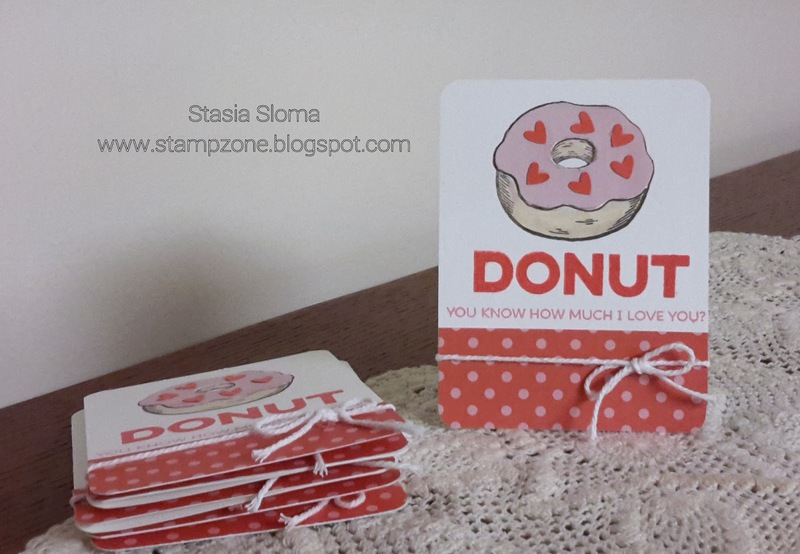 I decided to pair it up with My Favorite Things sentiment set dedicated to donuts called Donuts and Sprinkles. I did some paper piercing and colored in the donut with my Copic markers. The heart sprinkles I punched out with my Owl Punch and Calypso Coral card stock. The sentiment was stamped in Candied Apple and Worn Lipstick Ranger Ink. The Designer Series Paper is Dear Lizzy Lucky Charms. I just love this sentiment Donut you know how much I love you. It is perfect for my little donut lovers.